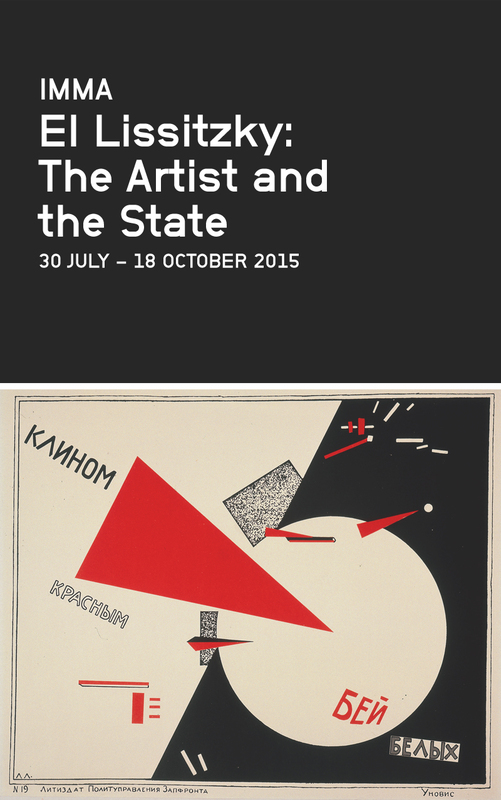 On the approach of the centenary of Ireland’s Easter Rising and the subsequent establishment of the new Republic, IMMA is pleased to announce the exhibition, El Lissitzky: The Artist and the State. This exhibition reflects the artistic and cultural community who gave voice to a new image for the emerging state and a visual language for its politics. It places this local reflection within a broader global consideration of the role of artists in the imagination of emergent states of the early 20th century, and acts as a contemporary exploration of the task of the artist in relation to civil society. The exhibition brings together a significant body of works from the Van Abbemuseum, Eindhoven, by El Lizzitsky (1890–1941), one of the most influential artists of the 20th century who is shown here for the first time in Ireland. These works, including an important body of his noted ‘Proun’ series, are shown in the context of archive material referencing the work of Irish nationalist poet and writer Alice Milligan (1865–1953), and her collaborator Maud Gonne (1866–1953). The exhibition explores their parallel visions of the activated artist central to the imagining of a new state. A contemporary counterpoint to the historical narrative is provided by newly commissioned and recent works by four artists – Rossella Biscotti, Núria Güell, Sarah Pierce and Hito Steyerl – whose work, in different ways, reflects on the position of the artist within our society now. The participation of the Dutch-based artist Rossella Biscotti is made possible with financial support from the Mondriaan Fund. The participation of Hito Steyerl is supported by the Goethe-Institut Irland. The exhibition is presented with the support of Yeats 2015. This exhibition, which is part of a series of New Art at IMMA, is proudly sponsored by Matheson.